Novo Nordisk is laying off 400 people in Denmark and China so it can overhaul its R&D and speed up the expansion and diversification of products for serious chronic diseases. It will build four new ‘transformational research units’ this year to develop novel treatments and platform technologies. Novo Nordisk, the world’s largest insulin producer, employs around 43,000 people globally. The roles cut include administrators, scientists and laboratory technicians. The Danish firm’s biotech units, which are based in the UK, Denmark and the US, will operate as R&D satellites and will focus on priority areas including stem cell and cardio-metabolic research. Artificial intelligence (AI) is also expected to play a major role in Novo Nordisk’s future R&D, as it allows massive amounts of data to be processed swiftly. Mads Krogsgaard Thomsen, executive vice president and chief science officer, Novo Nordisk, said: “Delivering on our ambition of achieving even higher levels of innovation across a broader and more diverse range of chronic diseases requires us to have the optimal future skill base and allocate resources to our priority areas. The changes are to support the way that Novo Nordisk works in R&D so that it can more easily develop innovative drugs. It hopes that collaborations with external organisations, including biotechs and universities, will help in the drive to design groundbreaking treatments. 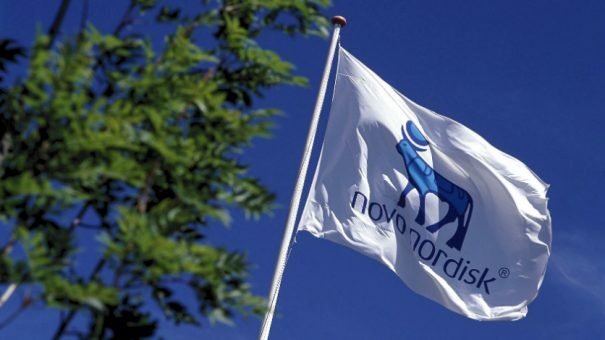 Last month Novo Nordisk bought Ziylo, a University of Bristol spin-out company, which has pioneered the use of its platform technology – synthetic glucose binding molecules – for therapeutic and diagnostic applications. Glucose responsive insulin is key in Novo Nordisk’s efforts to create insulin that is safer, more effective and that will improve the quality of sufferers’ lives. It would mean that there would be no risk of hypoglycaemia, which is a risk in insulin therapy, as it can cause problems with glucose control. Ziylo’s synthetic glucose binding molecules are stable and display an unprecedented selectivity to glucose in blood and other complex environments. The latter, combined with Novo Nordisk’s insulin engineering could eventually result in production of the world’s first glucose-responsive insulin.